Dementia care is never easy. However, a highly trained caregiver can help create better days for those living with dementia. 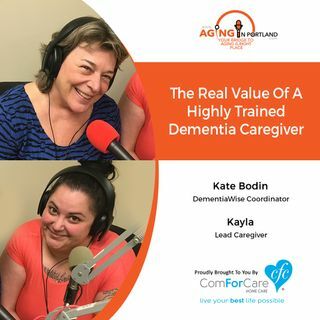 Kate Bodin, DementiaWise Coordinator, and Caregiver Kayla McGranahan of ComForCare Home Care of West Linn share how they are training caregivers to create better days for their clients. Making a difference and helping people to live their best lives is how ComForCare caregivers are trained.